Joshua K. Messier, a 23-year-old mental health patient, was killed while guards were placing him in four-point restraints at Bridgewater. For more than a decade, officials at Bridgewater State Hospital have been promising to cut down on the increasingly discredited practice of restraining mentally ill men, strapping their wrists and ankles to a bed, or isolating them in small cells for days or even weeks at a time. But statistics provided to the Globe show that the state’s most secure psychiatric facility actually increased its reliance on restraints and isolation over the past decade, even after a Bridgewater patient died in 2009 while being restrained and other mental health facilities have moved decisively away from those tactics. Patients at Bridgewater State Hospital, a medium-security prison that provides mental health care, were placed in restraints or isolation at more than 100 times the rate as patients at other state mental health facilities in 2013, records show, a massive difference that critics say cannot be fully explained by the fact that Bridgewater handles some of the state’s most violent mentally ill men. The use of seclusion and restraints at Bridgewater has fluctuated, but overall the use of those techniques was 16 percent higher in 2013 than in 2004, according to statistics provided by the Department of Correction. Since 2009, when a mental health patient died while being strapped down to a bed, use of those measures has gone up 27 percent. 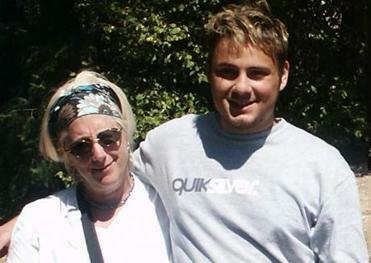 Joshua Messier was having a schizophrenic attack, then died as Bridgewater state prison guards subdued him. In December 2013 alone, Bridgewater, with a population that hovers around 325, held patients in seclusion and restraints for more than 13,000 hours — a rate of 1,491 hours per 1,000 patient days. That’s vastly more than other state-run psychiatric facilities that manage fewer potentially violent patients. Five Department of Mental Health facilities with about 626 in-patient beds held patients in seclusion and restraints for a total of only 135 hours in that month — 7.07 hours per 1,000 patient days. Correction officials insist that Bridgewater cannot be compared with facilities run by the Department of Mental Health, noting that their patients are far more dangerous, including killers who have been found not guilty by reason of insanity. “Any comparison of data regarding the use of seclusion and restraints involving these two very distinct populations is misleading,” the department said in a statement. But several mental health experts contacted by the Globe were surprised at how heavily Bridgewater appears to rely on seclusion and restraint despite the growing consensus in psychiatry that the techniques are traumatic, potentially dangerous, and often unnecessary. “The total cumulative hours they’re using seclusion and restraints is extraordinary,” said Kevin A. Huckshorn, a nationally recognized expert in reducing the use of those measures who is also director of Delaware’s Division of Substance Abuse and Mental Health. 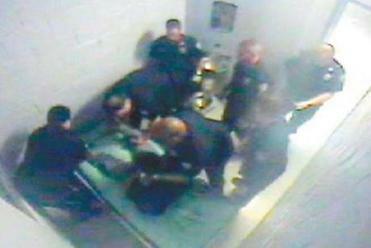 The practice of secluding and restraining disruptive inmates and patients at Bridgewater has come under intense scrutiny since February, when the Globe provided a detailed account of the 2009 death of Joshua K. Messier, a 23-year-old mental health patient who was killed while guards were placing him in four point restraints. To date, Governor Deval Patrick has disciplined six correction officials as part of a continuing investigation of Messier’s death, which was initially ruled a homicide. And last month, the mother of 31-year-old Bridgewater patient Peter Minich filed a lawsuit against Bridgewater and the Department of Correction, accusing state officials of holding her son in seclusion and restraints for long periods of time, often in violation of state law that says inmates and patients may be secluded or restrained only in cases of emergency where acts of “extreme violence” have occurred or have been threatened. Both Messier and Minich were diagnosed with paranoid schizophrenia before arriving at Bridgewater. And both were charged with assaulting staffers in psychiatric facilities before being sent to Bridgewater for psychiatric evaluations. 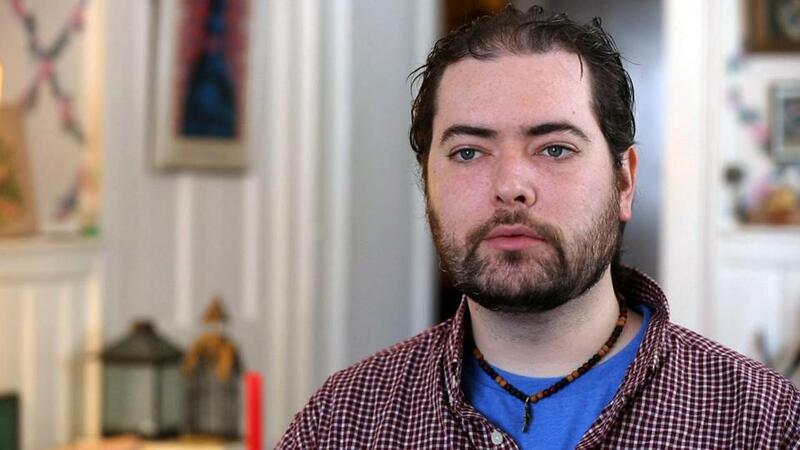 Joanne Minich, has filed a lawsuit accusing state officials of holding her son, Peter Minich, 31, in seclusion and restraints for long periods of time at Bridgewater State Hospital. Now, the Department of Correction is working with Jeffrey Metzner, a University of Colorado psychiatrist and nationally recognized expert who has warned about the effects of solitary confinement on mentally ill prisoners, to review the use of seclusion and restraints at Bridgewater, according to MacLeish. “I view this as a positive development, although it’s too early to tell whether the issues surrounding seclusion and restraint can be resolved without significant investments in staff and training,” MacLeish said, after meeting with Metzner on Friday. Bridgewater officials have been promising to reduce the use of seclusion and restraints since at least 2003, when the facility was accredited as a behavioral health care provider by the Joint Commission, the nation’s leading hospital accrediting organization. During an interview with the Globe, Department of Correction Commissioner Luis S. Spencer and top Bridgewater officials said reducing the use of seclusion and restraints at the facility remains a top priority. Those measures remain in use, they said, because they are sometimes the only way to safely control violent mentally ill inmates and patients who arrive at the facility with acute symptoms. In addition, they said, state law prevents Bridgewater officials from medicating new arrivals involuntarily, except during emergencies, without a court order, a process that can take more than two months. Patients who refuse to take their medications are more likely to require seclusion or restraint to calm them, the state officials said. Spencer also said that comparisons between Bridgewater and other facilities are unfair because of Bridgewater’s unique population. Bridgewater is both a prison and a psychiatric facility housing convicted criminals — some of them among the most dangerous in the state — along with civilly committed men who are sent there for psychiatric evaluations following criminal charges, some of them relatively minor. Spencer and Bridgewater administrators also said they have launched several initiatives to reduce the use of seclusion and restraints. “It’s a constant effort and I think it would really be incorrect to assume that this is just something that the institution takes for granted, that there will always be seclusion and restraint,” said Robert Diener, the chief psychiatrist for the Department of Correction and the medical director at Bridgewater. But critics say the rise in the use of restraints and seclusion at Bridgewater as well as anecdotal evidence cast doubt on the department’s commitment to reduce the use of those measures. For example, the guards who placed Messier in four-point restraints said during depositions that they received little training in mental health disorders. In addition, documents reviewed by the Globe show that Messier was never evaluated by a medical or mental health clinician before guards placed him in four-point restraints. Such an evaluation is required by state law and Bridgewater policy. In addition, Spencer said in the Globe interview that he has never complied with a provision of state law that requires him to personally “review and sign within 30 days” all of the authorization forms for seclusion and restraint at Bridgewater. Instead, he said, other Department officials and top Bridgewater staffers review the authorization forms during quarterly meetings. Spencer said the longstanding review system is “a best practice” because it ensures that experts in the field will review the forms. Outside experts contacted by the Globe said that reducing the use of seclusion and restraint is difficult and requires a personal commitment from top administrators. “If the senior leadership are not fully engaged from the very beginning and have a commitment to be fully engaged for a number of years, it won’t work,” said Huckshorn, the national expert from Delaware. Huckshorn and others said reducing the use of seclusion and restraint at Bridgewater may take additional measures because of the facility’s dual missions as a prison and a mental health care provider, noting that one role of a prison is to punish while the role of a hospital is to treat and promote recovery. That conflict has been cited as a major impediment to the delivery of quality mental health care at Bridgewater for decades. A decade later, Bridgewater patients and their families were still accusing Bridgewater officials of managing the facility more like a prison than a hospital. In 2007, the Disability Law Center, a nonprofit that advocates for the rights of the mentally ill, came to the defense of Timothy Grabosky. Grabosky was sent to Bridgewater for a psychiatric evaluation after allegedly assaulting a staffer at a state mental health facility and accused Bridgewater officials of holding him in seclusion and restraints illegally. Timothy Grabosky said he does not believe that conditions for others at the facility improved. In a letter to Bridgewater officials, the law center said Grabosky had been held illegally in seclusion and restraints on at least eight occasions in 2005 and 2006 following minor incidents such as yelling at a guard or banging on his cell door. Representatives of the law center later met with Bridgewater officials and told Grabosky that administrators promised to change their standards for placing inmates and prisoners in seclusion and restraints. Grabosky, who was released from Bridgewater in 2009 after spending nine years in the facility, said last week that Bridgewater put him in seclusion and restraints less frequently after his complaints, but he does not believe conditions for other inmates and patients improved. “They stopped putting me in [seclusion and restraints], but not anybody else,” he said. Today, critics say, little at Bridgewater has changed in 20 years, despite periodic criticism that has erupted after tragedies such as Messier’s death. “The numbers show that Bridgewater egregiously overuses seclusion and restraint, and they probably do it because they run it like a prison,” said Pingeon. Michael Rezendes can be reached at michael.rezendes@globe.com. Follow him on Twitter @RezGlobe.